John’s first gig was in 1984 at a local bar in Glen Cove, NY. 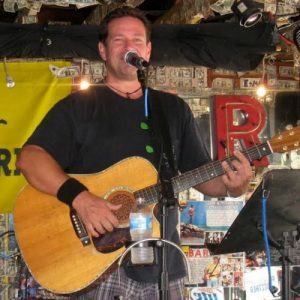 After moving to Ocean City, MD in 1993, with nothing more than his guitar and a desire to play, hard work and dedication brought lots of gigs, and he was soon playing 250 shows a year. So… here he is, a lifetime later (his words). Summers in Ocean City, Maryland and winters in Key West, and a few choice gigs on Long Island. John plays several shows per week at Willie T’s for about nine months out of the year. Stop by and hear him… You will not be disappointed!